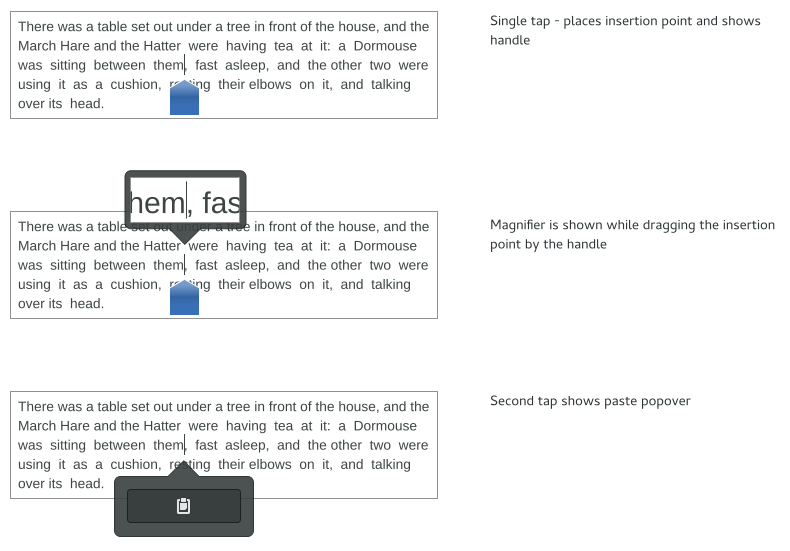 Design page for text selection and manipulation, including cut, copy and paste. Could also include additional capabilities based on the type of content selected (for example: search or automatic spell check). Make selection and insertion actions more discoverable. Have contextual actions closer to the object on which they act. Be easier to use on touch devices. Better context action definition (work on selection, not the container object). Selection and insertion actions are not discoverable. Contextual actions are not close to the object on which they act. Not easy to use on touch devices. Mouse interaction for adjusting selection should be improved. 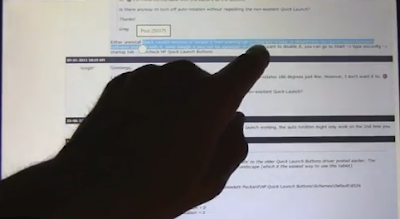 The Sugar designers and developers have been working on a touch friendly text selection, a description and animations of the design with a first implementation in a GTK+ branch can be found at http://wiki.sugarlabs.org/go/Design_Team/Sugar_Shell_Touch_Input#Text_editing. It is difficult to use long press, due to the interaction with scrolling. Touch screen interaction can occur with or without a physical keyboard being present - while use of a touchscreen and physical keyboard will be an usual combination for editing text, it should be handled. Single tap - place text cursor and display single drag handle. 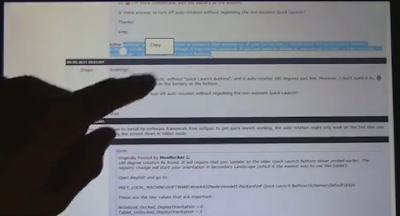 Handle allows the position of the text cursor to be adjusted. Magnifier is displayed while handle is being held. 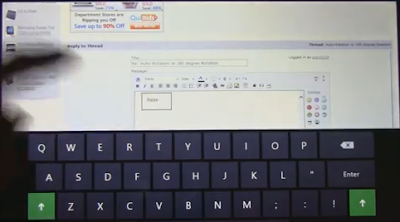 On screen keyboard is displayed (if there is no physical keyboard). If text is entered, handle hides. Second tap - paste popover is displayed. Popover hides if - text is entered, user taps the insert point (or anywhere else, for that matter). Double tap - select word and display twin selection handles. Handles can overlap window edge. Handles can flip vertical position when on the edge of a screen. For single line selections, both handles should be on the bottom. For multiple line selections, the handle on the left should be aligned to the top to avoid obscuring the second line of text. When at the bottom of the screen, the handles should be above the selection . Second tap - editing popover is displayed (shows select all, cut, copy, paste). Tapping anywhere on the selection makes the popover fade out. Second click on the insert point shows the paste popover. Right click shows paste popover, whether insert point is already present or not. Double click to select word. Right click to select word. Triple click to select paragraph. 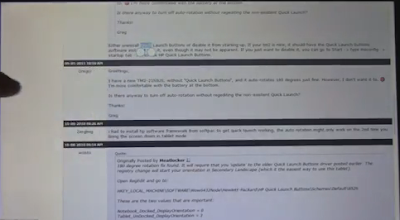 Handles allows selection to be adjusted. 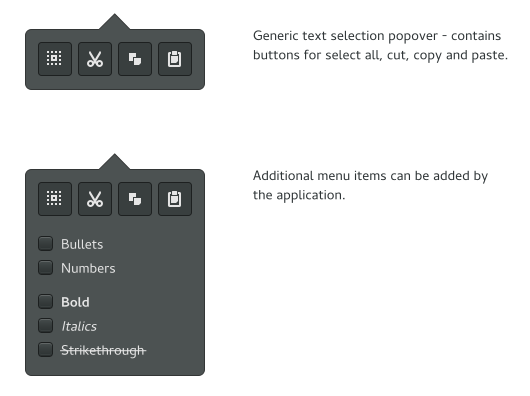 Clicking on selection (with either left or right mouse button) shows popover with edit options (cut, copy, paste, etc). Another click hides the popover. Insertion: includes paste by default (shown as a button). Additional menu items can be shown by the application. Selection: includes select all, cut, copy and paste by default. Additional menu items can be shown by the application. Popovers should use OSD style. Drag handles should have depth/texture, and need to be bigger - don't use symbolic icons here. Drag handles aren't horizontally centered against the insertion point/selection edge. Popover for insertion point should only have one button - for paste. Popovers are too close to the insertion point/selected text, and they overlap the drag handles. The overlap problem will go away by never having handles and popover at the same time. Cut/copy/paste popover appears after dragging to select - it should only be displayed after a subsequent tap. Touch - double tap to select a word. Don't do drag to select. There is no mention of the rich set of traditional mouse behaviours we have for selections, such as triple-click to select a line, shift-click to extend the selection, etc. I guess we'll keep those, as long as they are not conflicting ? How is one supposed to trigger that menu which has only 'paste' in it ? What does 'focus menu?' mean ? The menu key ?